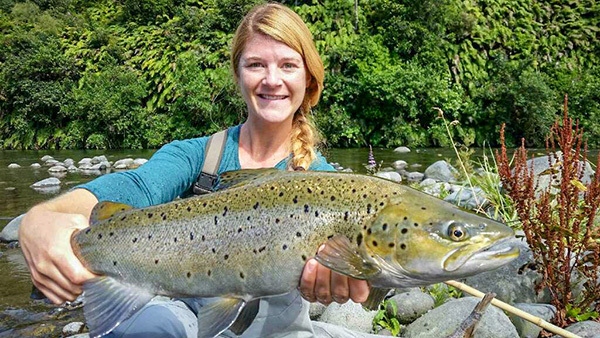 Normally one would walk a stream, spot a nice fish, make a few poor casts and say "Oh, well, I put that fish down. No point in hanging round – on to the next pool." 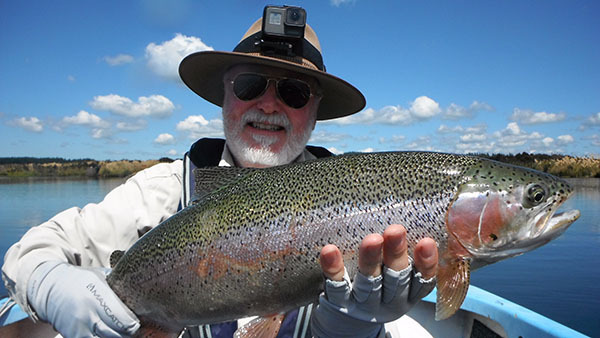 In the following two cases both fish were at the end of a long day on the water, when conditions were tough – low, gin-clear waters, spooky fish, warm end-of-summer conditions with the trout looking distinctly uninterested in feeding. Fish 2, in a different stream the following day, was of a similar size and lay just a few metres upstream of me in a spot of fast, clear water surrounded by willows. I was under the trees, directly in his blindspot, which was the only factor in my favour. The only possible cast was a sideways backcast – very hard (for me) to lay out accurately. First we tried the cicada, as that usually gets them in the mood. He totally ignored it, even when I managed to get it on target. So over to the trusty combo, parachute adams plus a pheasant tail nymph. 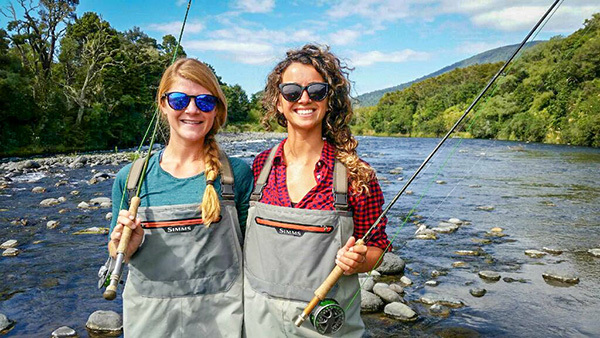 The nymph keeps pulling the cast too far to the right by 2-3 feet. The fish just looks bored. He's had a couple of dozen casts by now and has developed a distinct sneer. So on to the 'last resort', the stonefly nymph, a real plonker. Nope, he doesn't budge. Doesn't even blink. Finally we said "The caddis worked yesterday, why not today? ", so I gave him that under a dry. We must be up to 30 or more casts by now and I am assuming this fish is well and truly 'down', though he hasn't shifted his lie by more than a foot or so, reacted to anything or shown any sign of having seen us. However, various artificial morsels have been whizzing by him every 30 seconds for some time. First cast with the caddis, the dry fly indicator shot down. I wasn't expecting it and struck too late. Bugger. Another cast: same result – he took, I missed. Third attempt went wide. Fourth shot, down went the dry again and up went my rod and he was on. He struck back hard, really hard. I was so shocked, I dropped the rod in the water. Scrambled to recover it and was amazed and delighted to find him still on. He raced all over the stream in a frenzy, hauling for the fallen timber on the far side and was just stopped, with the Temple Fork 'Lefty' Kreh bent double. Eventually, after a series of short, hard runs I coaxed him to Ken's waiting net. A long golden Loch Leven, with scarlet 'rose moles all in stipple' about 55cm, but lean – he would have made 4lbs if he'd been in peak condition. Now, normally you'd give a fish three or four casts, then assume he was 'done', and move on. 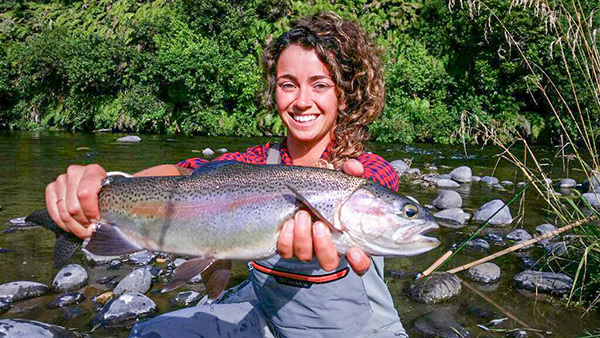 Because these were the last fish on the beat, and seemed not to react, we gave them half the fly box and several dozen casts... and to our absolute astonishment, it paid off. Twice. The working theory now is that in the warm, low, summer water the fish become rather sleepy and apathetic – but a steady fusillade of artificial nymphs and dries dropping in their general vicinity finally gets their gastric juices working and they decide to feed. In both cases fish which were totally disinterested eventually showed signs of interest after several dozen casts, came alive - and then took decisively. More than once! Fishing with Ken was an amazing experience! 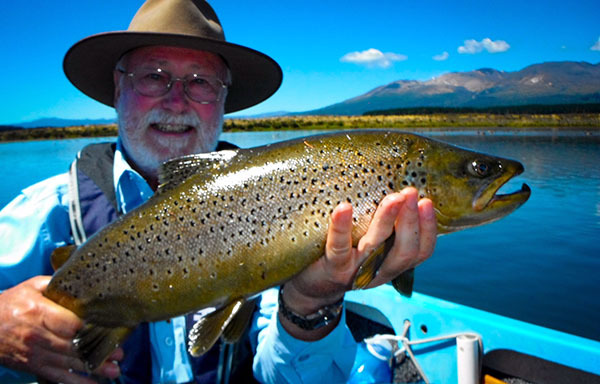 Ken is so astoundingly knowledgeable about the river, fishing ethics, techniques, and all things fly fishing. Ken is not only and incredible guide but a truly sweet and fun human being. 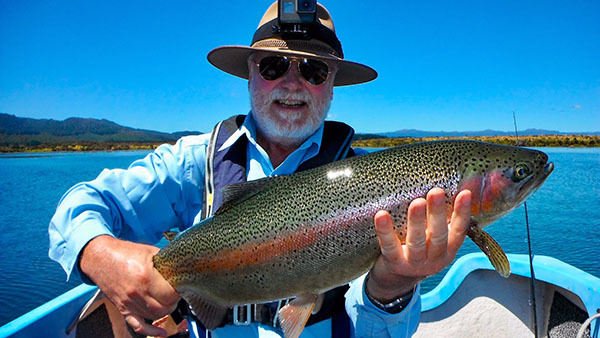 Can not recommend fishing with Ken enough and we can't wait to come back to the Turangi area and go out with Ken again. 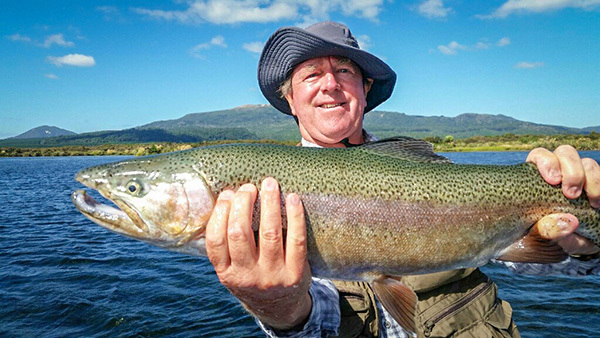 Andrew fly fishing Lake Otamangakau Turangi .